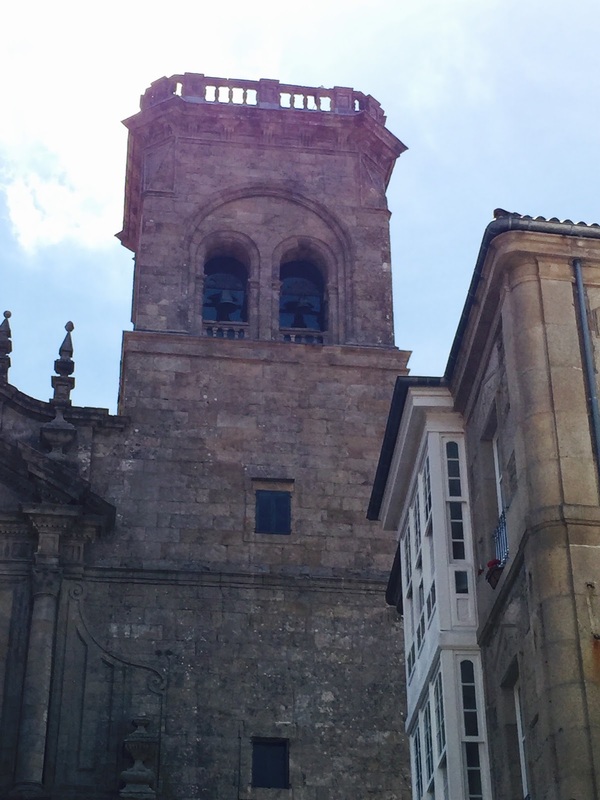 Santiago is a city of churches many with tolling bells. They ring out their majestic voices night and day, perhaps to the dismay of some, but in doing so the bells provide a sense of continuity, like the ticking of a clock that reminds us that something basic, even foundational is still in place, and is still working. The tolling of the bells here reminds us that life continues and has purpose. It matters that we know the time for things that are important to us, whether that is a call to prayer, to work, or even to rest. We live in a digital world where electronically synthesized tones have become our reminders, the parenthetical noise of modernity. But, they don’t communicate they just alert us in a particularly sterile way. A church bell has tonal authority, a stateliness, a comforting presence. It pulls communities back into their history and gifts them with a sense of dignity. If we don’t like a tone emanating from a phone, computer, or even a refrigerator, we just change it. No problem. It is the immutability of church bells that bring us back to earlier times, a different era, to a realization that more choices are not always a blessing. The reassuring sound of a church bell tempered by wind and weather creates a tonal landscape that is filled with nuances that lifts our spirits up and away from the ubiquitous chirp or beep or trill that tend to define when our world now wakes and begins to move. Yes, the bells might occasionally be inconvenient for a variety of reasons, but then what isn’t. And then there is always that intriguing question, for whom does the bell toll? I think we all shift in our beds a wee bit as we hear the distant toll of a church bell. We involuntarily slip into recollection, counting the strikes, as we ponder the things that move through our minds as we rest. Yet we bless the measured resonance of the bell, regardless of what it calls us to do, for it speaks to our kindredness, and brings us together. Whereas the intrusion of the many beeps and buzzes that punctuate our daily lives, do their job, but in a lifeless sort of way, and without comfort. They are jarring, disturbing and unpleasant. Church bells, admittedly cannot be infinitely adjusted to the rhythms of modern life, but that is just the point. It is their singular function to mark time in a very human way that reminds us that we have things to do and reassure us that somehow we will have the strength and courage to do them.